Super saloons have had their wings clipped in recent years, with the big, bellowing V8s all but consigned to the history books by the latest turbocharged V6s. 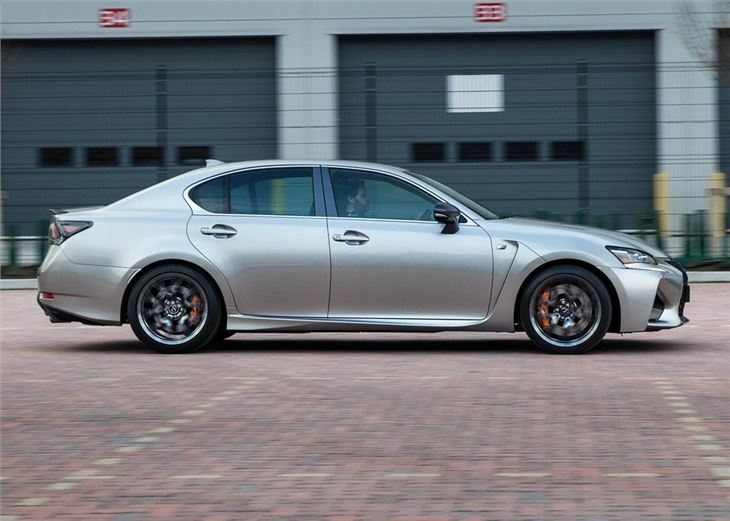 However, with the GS F, Lexus has remained decidedly old school. No turbos here, just a monstrous V8 that will rattle your molars. 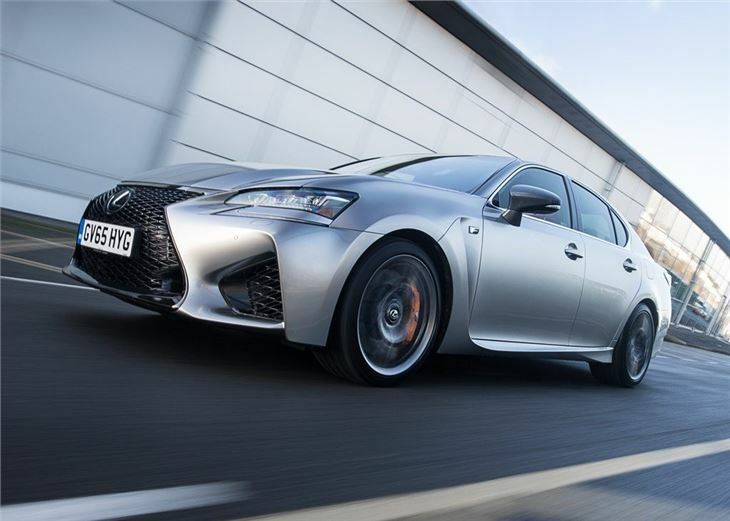 The GS F is the latest addition to the Lexus stable of high performance F-cars and on paper it reads like a behemoth muscle car, with its 5.0-litre V8 producing 471PS and 530Nm of torque. In old money, that means it will reach 62mph from a standstill in 4.6 seconds, while the unrestricted top speed lies close to 170mph. 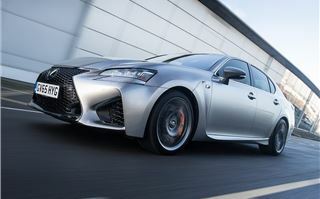 Lexus does little to hide the fact that it is pitching this squarely at the BMW M5 and Mercedes-Benz E63 AMG buyers. 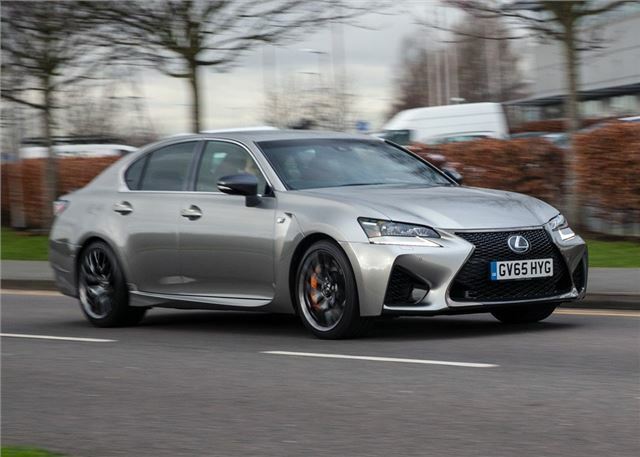 Prices start at £69,995 and the GS F is similar in size and spec to its German rivals, with a leather clad interior that will easily carry four large adults in limo-like comfort. The boot is huge too, with 520 litres, which means you don't have to worry about space when it comes to packing the suitcases. 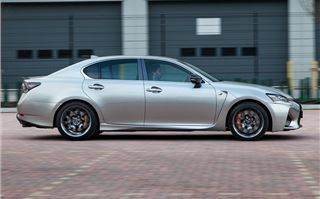 Obviously, the comfy and spacious interior isn’t the GS F's party piece. 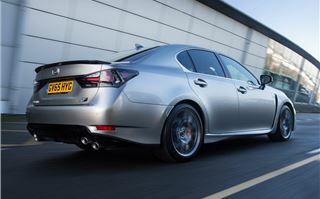 Far from it, this is a Lexus that's been designed to go very quickly. And not just in a straight line either, but around corners and everything. 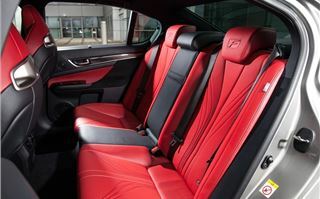 To quote Lexus, "it delivers sports car performance and handling, but in a luxury saloon car package." The GS F has four driving modes - Normal, Eco, Sport S Sport S+ - and it's the latter that unlocks the performance, with sharp acceleration and power peaking from 5000 - 7000rpm. Admittedly, with peak power so high up the rev range, you have to push quite hard to get the most out of it. 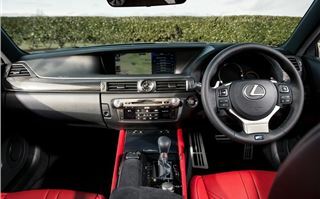 But there is lots of enjoyment to be had behind the wheel of the GS F. Not least because Lexus has done such a good job of hiding the car's considerable size and 1850kg kerb weight. 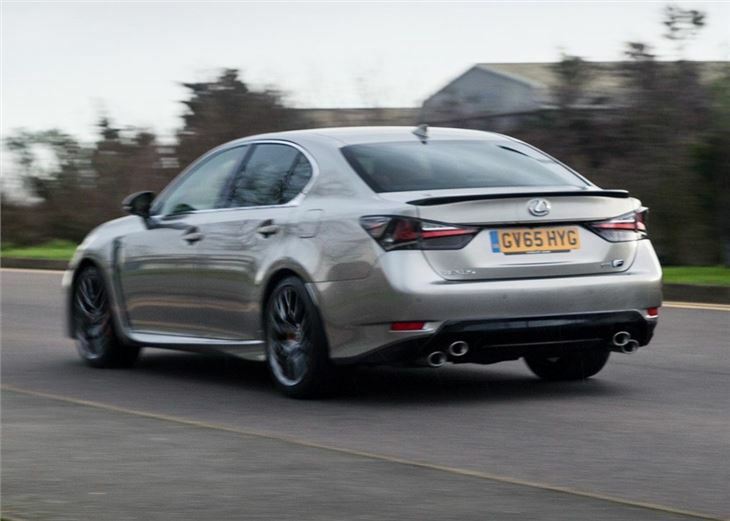 Being rear-wheel drive, the GS F is prone to rear wobbles under heavy acceleration, but the electric aids do a pretty good job of keeping things under control. Admittedly, the steering feel is overly light for our tastes, which can make it difficult to judge where the limits of grip are, but for the most part it provides sufficient feedback for spirited driving. The eight-speed automatic gearbox, however, is not the best. Indeed, compared to the latest dual clutch 'box used by BMW in the M3, it feels slow and lethargic, especially in Normal mode, with clunky down changes and muddled up shifts. This can dumb down the impact of the V8 and provide an effect akin to turbo lag, with the driver having to wait for the gearbox to sort itself out before overtaking slower traffic or accelerating hard out of a corner. 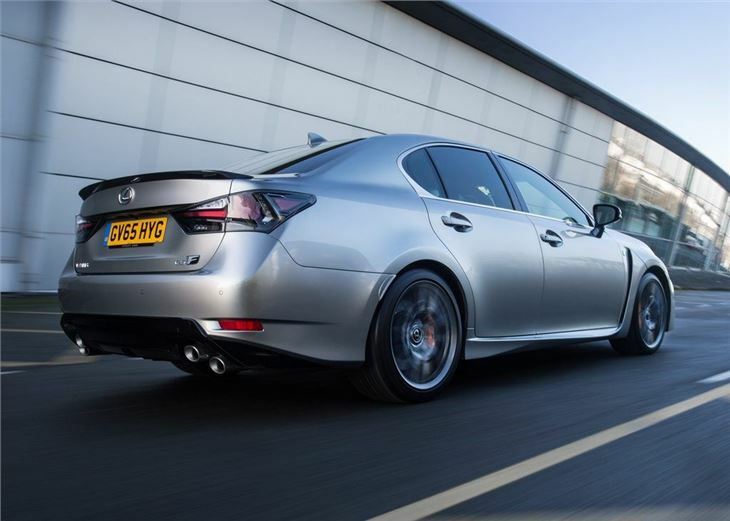 The GS F has some other flaws too, its baffling infotainment system being the chief annoyance. 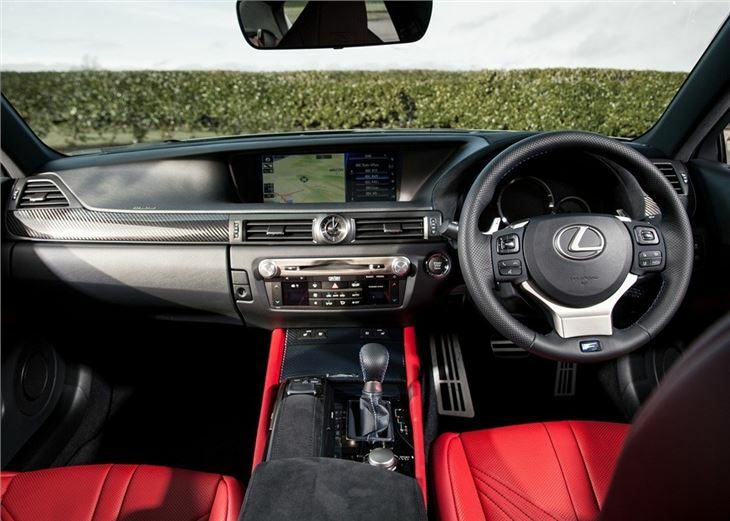 Indeed, while BMW and Mercedes-Benz have made huge strides in creating simple and direct controls for navigation, media and in-car settings, Lexus has remained loyal to the awful and over sensitive trackpad system. In short, it transforms the infotainment screen into a 1980s' game of Pong, with the marker dashing all over the screen as you attempt to select a radio station or set a destination. The interior layout is also overly busy and lacks the smart and easy to use nature of BMW and Mercedes-Benz. Admittedly, you slowly become accustomed to the button heavy steering wheel and infuriating infotainment, but there is no hiding the fact that it is all distinctly inferior to everything the Germans do so well. That said, the GS F is a fun car and extremely easy to drive every day, with a comfortable ride and well-equipped interior. All models run on 19-inch wheels as standard, but apart from the occasional pot hole wobble, you'd struggle to tell the ride apart from the standard GS. That said, with claimed economy in the mid-20s, few will be relishing the opportunity to run this as a daily driver. 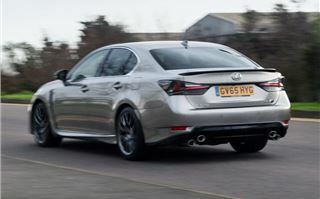 It’s perhaps ironic that, in its effort to make a case for the V8 super saloon, Lexus has shown why they’re going by the kerbside. For sure, some V8 diehards will find appeal with the GS F's muscle car nature, but most will simply see it as an expensive relic form a bygone era. Given the choice, we’d take the smaller, faster and cheaper to run BMW M3.